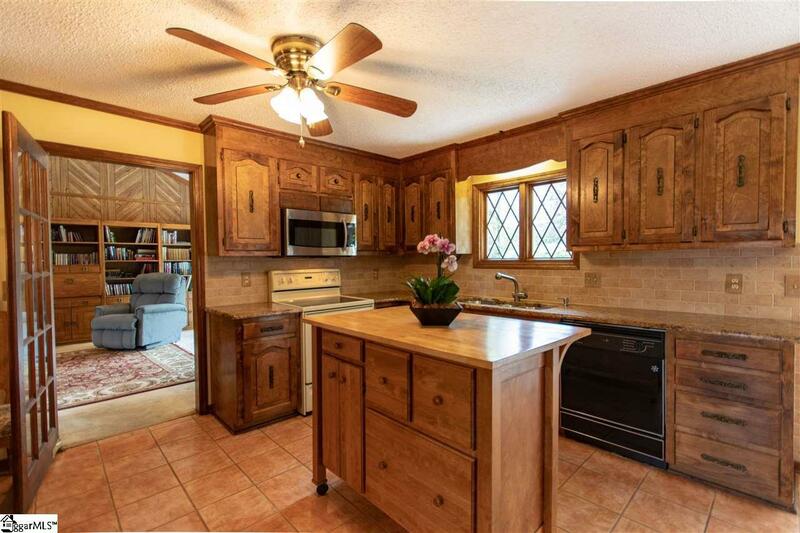 TO DIE FOR LOCATION / 4BR/4BA BRICK RANCH / HARDWOODS / OFFICE / PLENTY OF STORAGE / LARGE FENCED BACKYARD / IN-GROUND POOL / 2-CAR ATTACHED GARAGE WITH WORKSHOP / BONUS ROOM WITH PRIVATE ENTRY This beautifully maintained 4BR/4BA brick ranch is located right off Pelham Road near Patewood in the Woodmere subdivision. The interior of this home will exceed your expectations with an easy living floor plan that is suitable for any lifestyle. 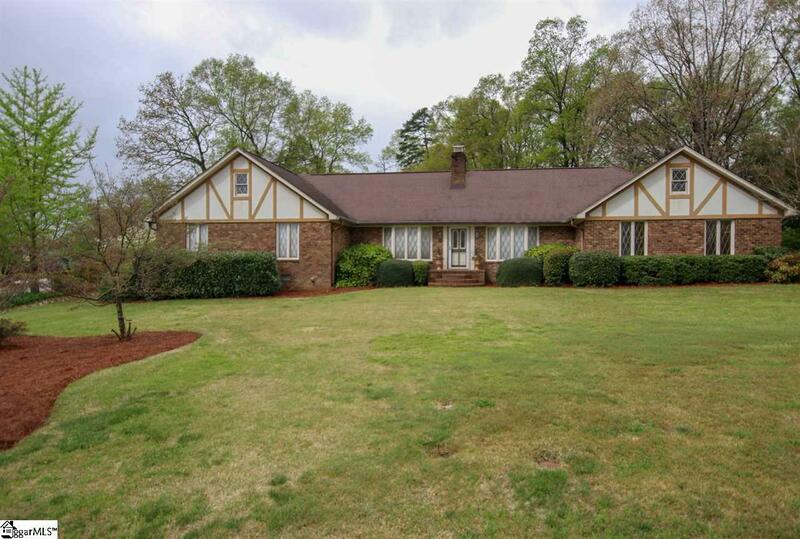 This home boasts fabulous space for entertaining including the oversized Great Room with bay window and a floor to ceiling masonry gas fireplace. 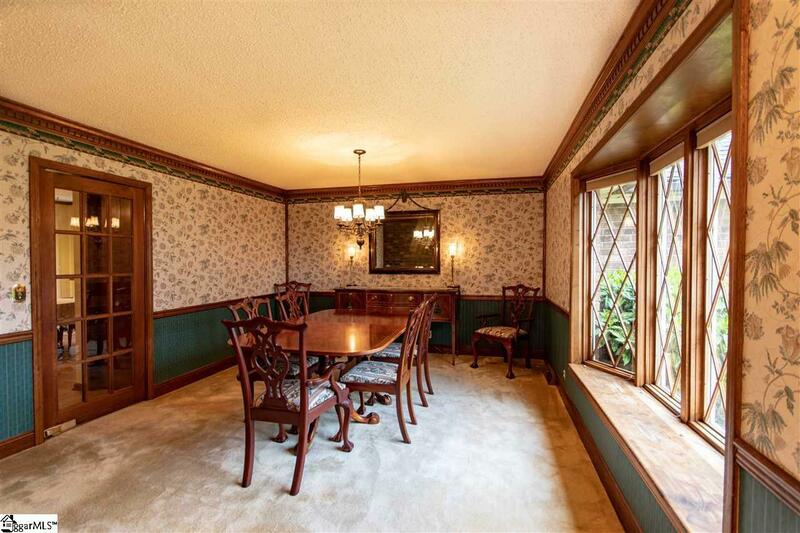 The Formal Dining Room features dentil crown molding, neutral carpet and bay window which allows tons of natural light. 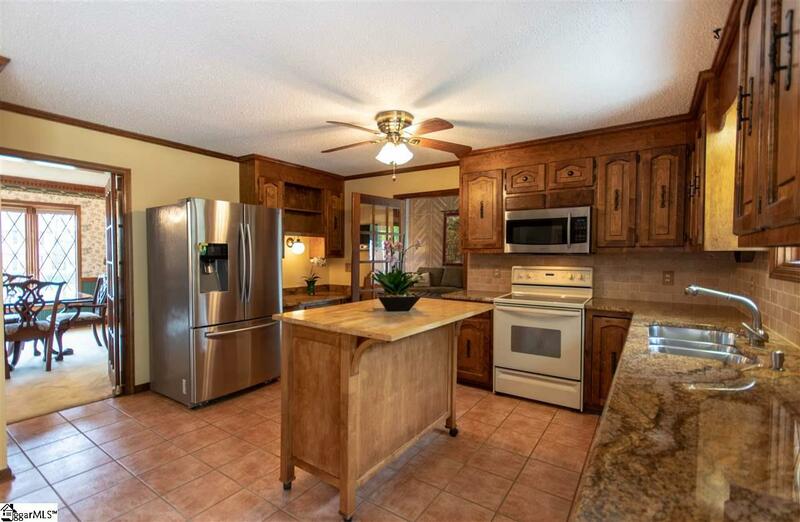 The Kitchen is adjacent to the Dining Room for easy access, and is equipped with honey toned cabinetry, tile backsplash, granite countertops, a built-in desk area and double door shelved pantry in addition to a pantry closet. A Breakfast Area with glass doors that overlook the backyard completes this space and makes a great spot to enjoy your morning coffee. A large Laundry Room that includes a full Bath can be found off the Kitchen (to benefit the pool). The Master Suite is complete with neutral carpet, his and her double door closets, private glass entry from Backyard and private Bath with custom tile walk-in shower. Just down the hallway you will find three additional Bedrooms, which share a centrally located Hall Bath. One is set up as an office with hardwoods, built-in desk and cabinetry. Above the attached two-car Garage you will be delighted to find a large Bonus Room with en-suite Bath and private entrance. (Which could be used as an additional bedroom, teen suite or guest quarters.) The exterior of the home is truly impressive! The large fenced backyard, huge rear patio and beautiful in-ground pool offer all the outdoor space you need for entertaining or family fun. With its awesome location, ample storage space, and great features 14 Brandywine Court will be sure to please.